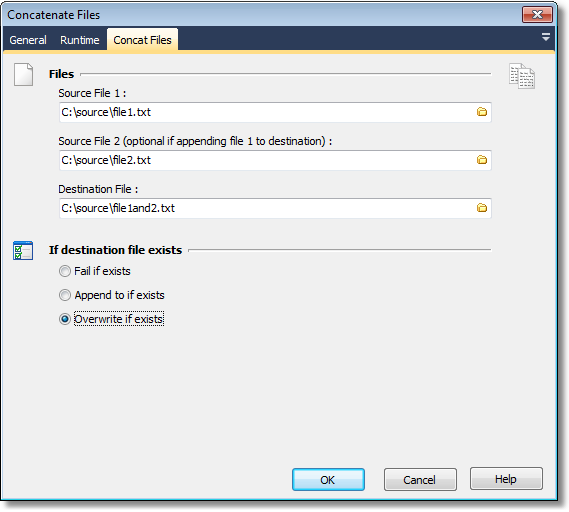 This action concatenates two text files into a single new file, or merges/appends a file into the destination file. Note that Source Files 1 & 2 cannot be the same file, and they cannot be the same as the destination file. Source 2 may be blank if appending to an existing file.